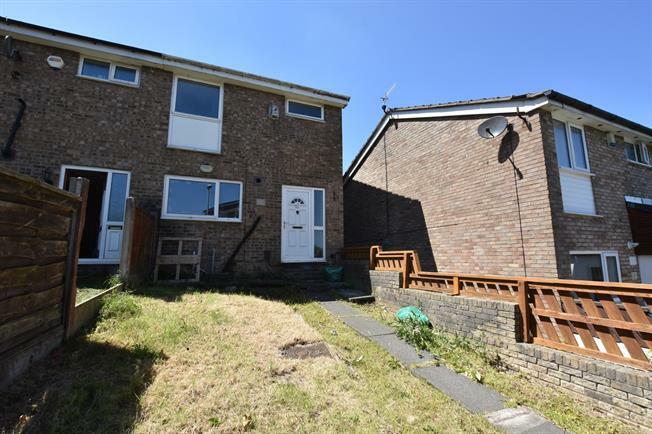 3 Bedroom Terraced House For Sale in Blackburn for Offers Over £65,000. The property briefly comprises an entrance hallway, lounge and kitchen on the ground floor. Upstairs there are three bedrooms and a three piece family bathroom. Externally, there are gardens at both the front and rear of the property with double glazed windows throughout. UPVC front double glazed door, opening onto the garden. Radiator, laminate flooring, ceiling light. UPVC double glazed door, opening onto the garden. Double glazed uPVC window facing the rear. Radiator, carpeted flooring, under stair storage, ceiling light. Double glazed uPVC window facing the front. Tiled flooring, ceiling light. Roll edge work surface, built-in and wall and base units, stainless steel sink, space for oven, hob, washing machine and fridge/freezer. Double glazed uPVC window with frosted glass facing the front. Radiator, vinyl flooring, built-in storage cupboard, ceiling light.